Perfect for those little green fingers. Sturdy plastic wheelbarrow. 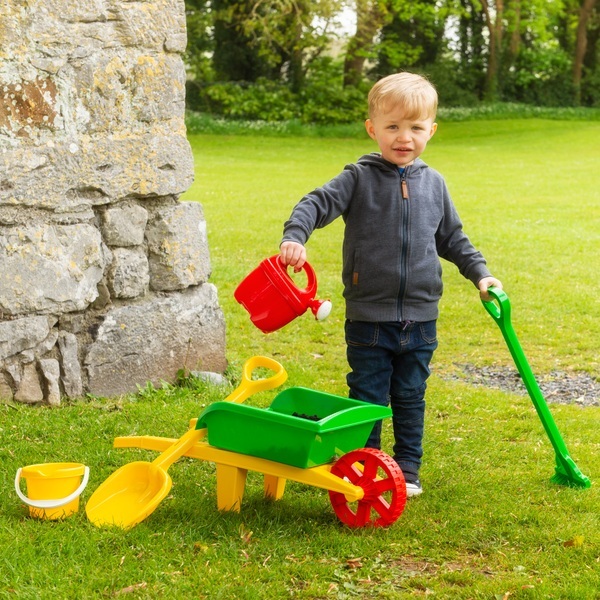 Comes complete with bucket, spade, rake, and watering can for lots of fun. 70cm in length.